Are you looking for a delicious pork recipe with a difference? If you are, you’ve found it! Here’s my spaghetti alla carbonara for you to enjoy. Carbonara is the Italian word for ‘charcoal burner’, so some people believe this dish was first made for charcoal workers in the Apennine mountains. The general view now, though, is that it was an urban dish invented in Rome. 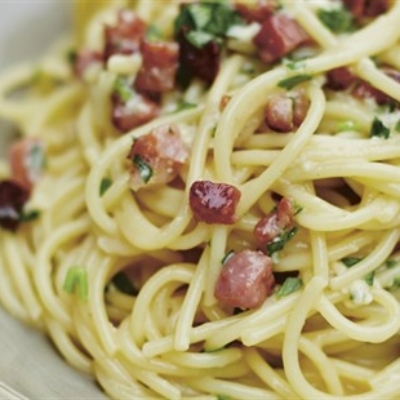 Note that cream is not used in an authentic carbonara, so none is included below. Fettuccine or bucatini can be substituted for the more usual spaghetti. 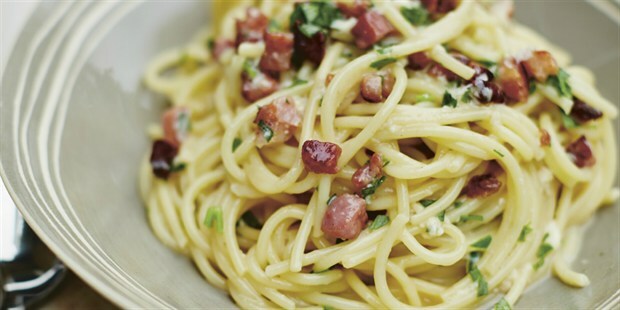 Feast your eyes on the finest spaghetti alla carbonara! It’s straightforward and fun to make this great dish. Simply follow the instructions below and get the perfect result. Cook the spaghetti in a large pan of boiling, salted water until al dente. Drain well and tip it back into the same pan. 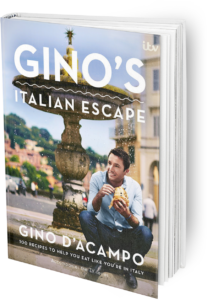 Once you’re done, simply sit back and enjoy your spaghetti alla carbonara and don’t forget to check out other great authentic Italian recipes including great antipasti recipes, Italian pasta recipes, Italian soup recipes, Italian beef dishes and authentic pizza recipes.